The Grand Strand Corvette Club is a member of the National Corvette Museum and one of two Myrtle Beach Corvette Clubs. We participate in many local Corvette Club events in the Carolina's. We also participate in events at the Corvette Museum in Bowling Green, Kentucky. We are currently working on the 20th Anniversary of the Museum Carravan. The Grand Strand Corvette Club meets on the second Sunday of the Month. We meet at a local restaurant where we conduct our business and then eat and talk. We strive to create a family environment for our members to promote camaraderie and close friendship. We occasionally move our meeting to a different day to accommodate a club outing. 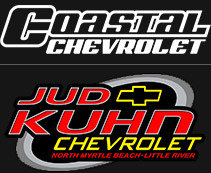 Our club is one of two Myrtle Beach Corvette Clubs and one of many Classic Car clubs in the Grand Strand area. We participate in as many Classic Car shows as possible. We believe in all car enthusiasts as well as Corvette enthusiast. Visit our event page often to see a list of all the upcoming events in the Myrtle Beach, South Carolina Area. We are a group of Corvette owners and enthusiasts who share not only the love of our Corvettes but that of all Classic Cars. We are dedicated to helping our local charities and community. Being the Grand Strand Corvette Club in Myrtle Beach, we strive for excellence. Grand Strand Corvette Club is a 501 (C3) organization. Jason’s House – Jason’s House is not an actual house. Its structure lies in Christian sympathy for families whose lives are stressed as they care for a child with life-threatening cancer. Scents for Soldiers – A Wounded Warrior program dedicated to providing our Nations Heroes with a much deserved rest and relaxation in Myrtle Beach. The Grand Strand Corvette Club is a member of the National Corvette Museum. The NCM is the most amazing and largest museum in the world dedicated to the celebration of one car…the Chevrolet Corvette. It provides Corvette enthusiast with a wide variety of programs and expertise on the Corvette. You can even order your Corvette at a dealership and pick it up on display in the Museum (R8C program).